So today I've decided to talk about my favorites for the month of February. They're just simple little things that I've been loving and want to share with you. Let's get right into it shall we? We'll start off with food because who doesn't love food!? Have you tried these? If not you should!! They are so good! 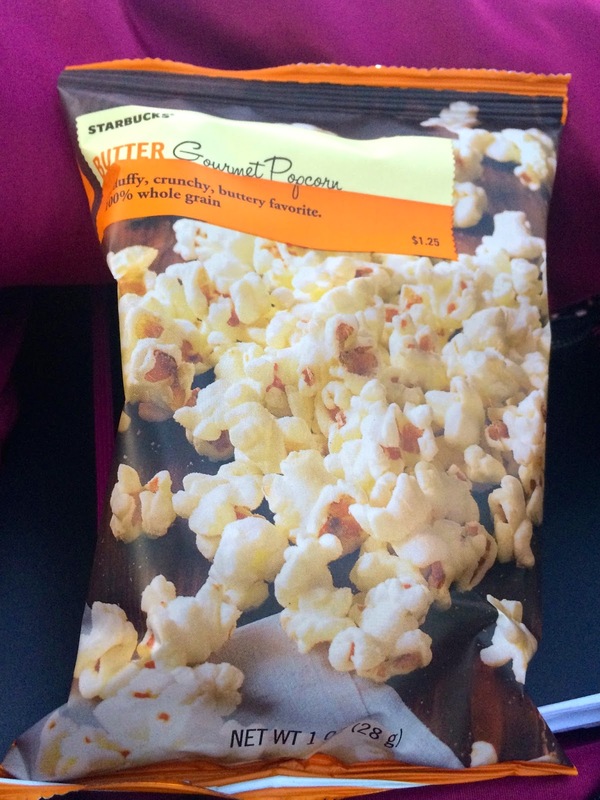 <3 My mouth is literally watering and I'm eating these as I type this :D I'm not good at describing things but these taste like cheesy buttery deliciousness. Seriously try them! and let me know what you think. I'm a huge advocate of lip balms and fighting off dry lips. 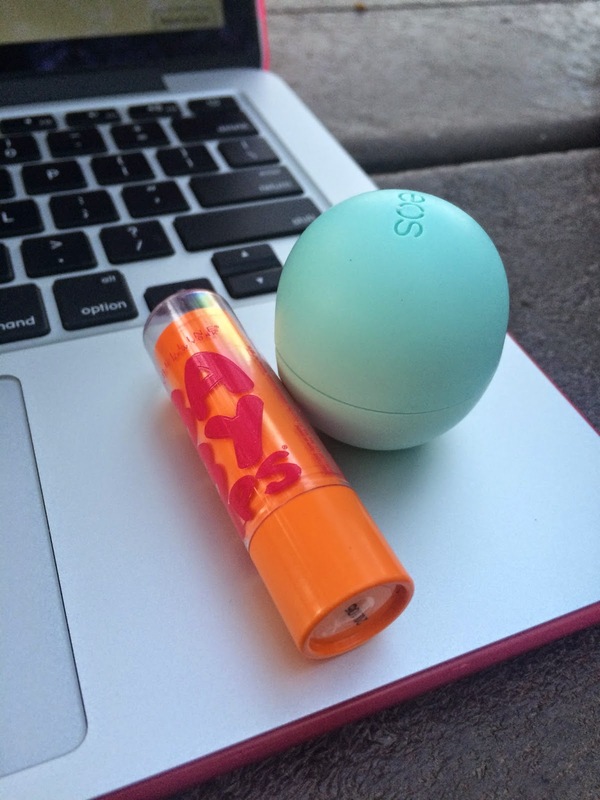 These two Lippies are my favorites <3 The EOS lip balm is great for moisturizing. I always tend to gravitate towards anything mint scented. I love the little tingly sensation it gives you when you apply it to your lips. The Baby Lips is in Cherry Me. I love this product because it not only moisturizes my lips, but it also tints them! If i can find a lip balm that is also a lip tint - I am all over it! So as you might know, washing your hair everyday isn't good because it can strip your hair of its natural oils. Therefore, you should try to avoid showering everyday (well atleast your hair, you can wash your body all you want ;) This here is my go to product when skipping showers. I try to only wash my hair every other day; but it is highly recommended to wash it every third day. Keep in mind it is a work in progress because your hair might get very oily if it is used to being washed every day. If that happens try using this dry shampoo. I'll be honest this is the only and first one I've tried but it's done wonders for me. 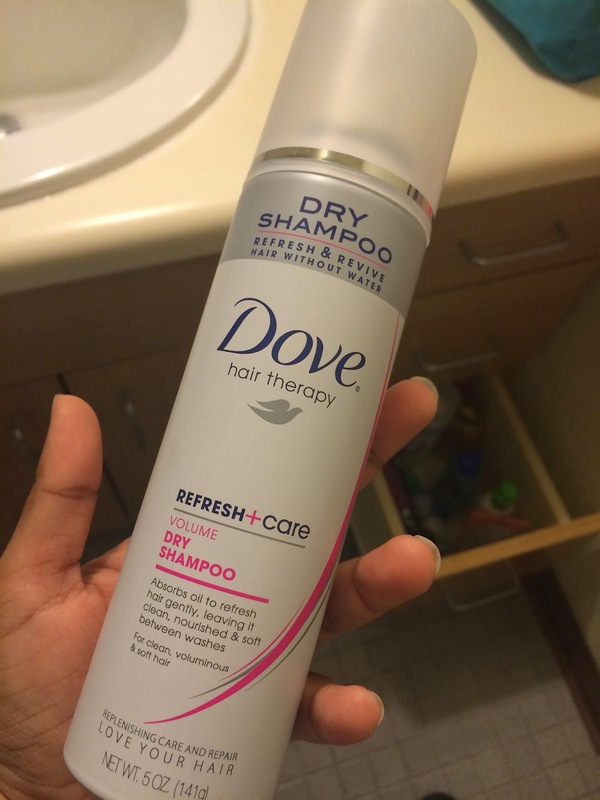 It helps dry your hair at the roots if it is very oily and it also adds volume to your hair. Again! I'm literally an advocate for staying moisturized. 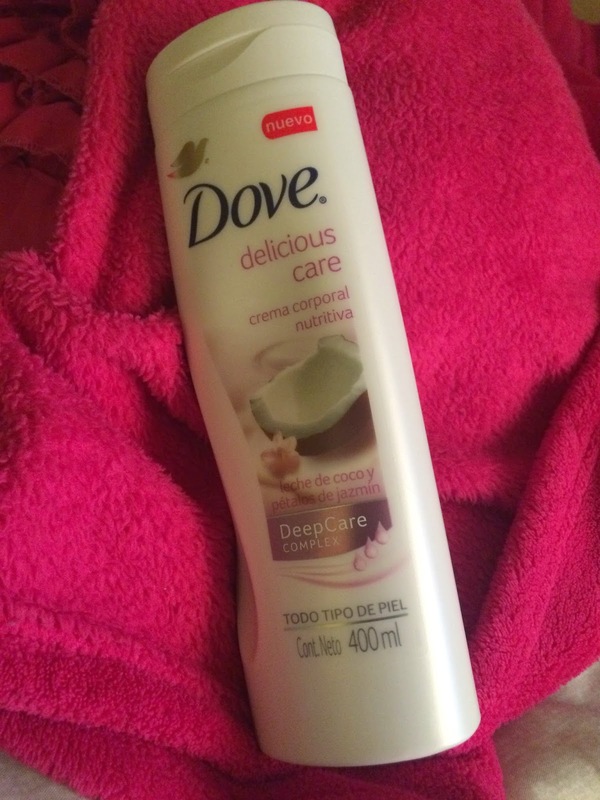 I recently bought this lotion and I can safely say that I have fallen in love <3. It also smells really good! just saying. As well as being keen on moisture, I am also huge on feeling like I smell good. My mom literally has to tell me to apply the perfume properly. I can't help it (I'm guilty of doing the spray, spray, shimmy application process). 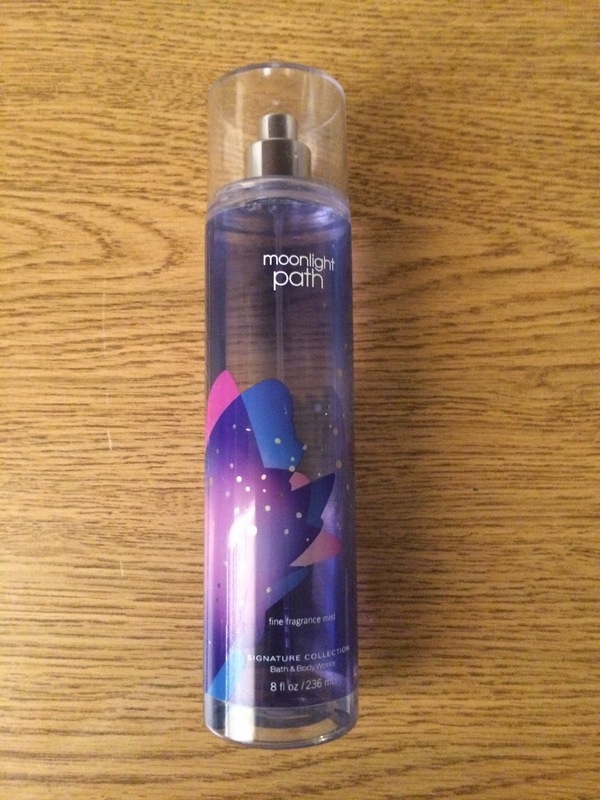 MoonLight Path by Bath and Body Works has been one of my favorites lately. I like that it smells clean and refreshing. I also really like that these mists lasts a really long time. One thing that I've struggled with is black heads. Eww! They literally just sit on my nose, unwanted! Literally I didn't ask for you. I've come to terms and realized that hey blackheads are normal. Thankfully there are also several tricks that you can use to get rid of them. There are some really good homemade formulas that you can look up if your looking to save money. 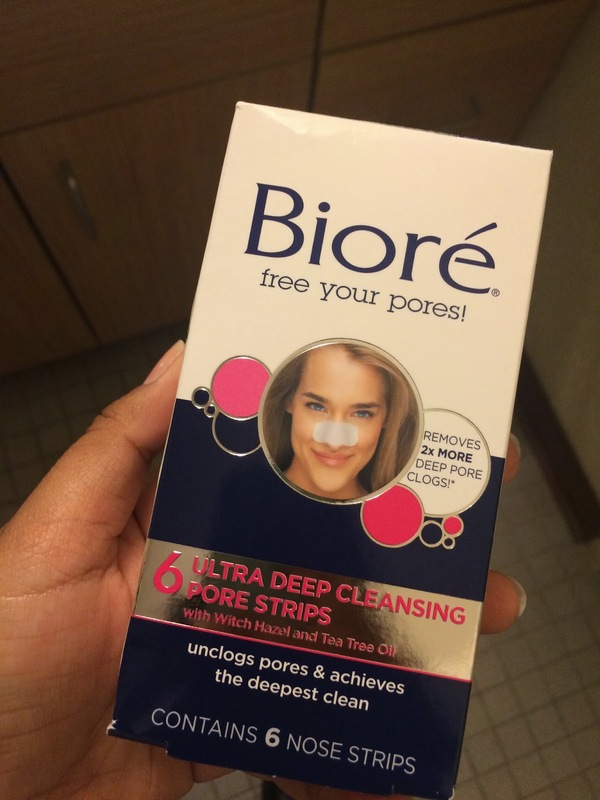 But if you want something quick and simple I suggest these Biore Strips. They've done wonders for me. After one application I can say that maybe 60% (TMI?) of my blackheads came off. I'll admit they looked pretty gross on that strip. 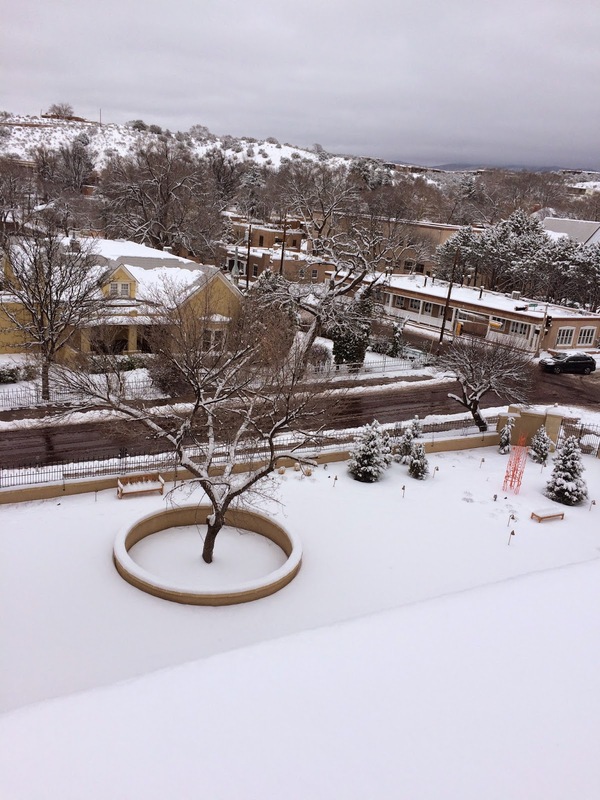 During the month of February I was given the opportunity to go to a leadership conference in New Mexico. I had the best time there! I honestly didn't even want to come back home. That is so weird for me to say because usually I want to come home after like the first day. I was only there for about 3-4 days but it was the best time of my life. I also got to experience snow for the first time in my life. Yes, snow is real! It is not a myth. I repeat it is not a myth. If you haven't experienced it yet I hope you do! You'll love it! So... I'm not really a big fan of reading. But these two books have really shifted my opinion. 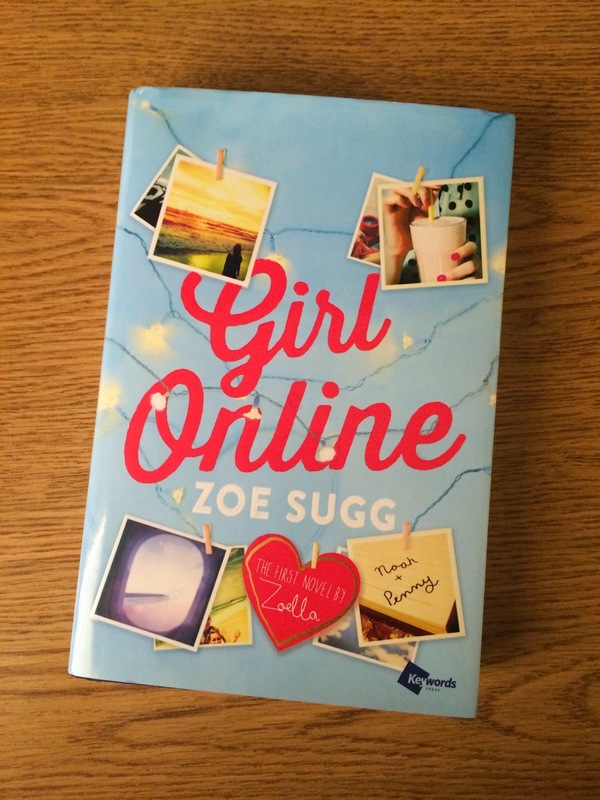 "Girl Online" by Zoe Sugg is probably my top favorite this month. It's also inspired me to finally go through with starting my own blog. 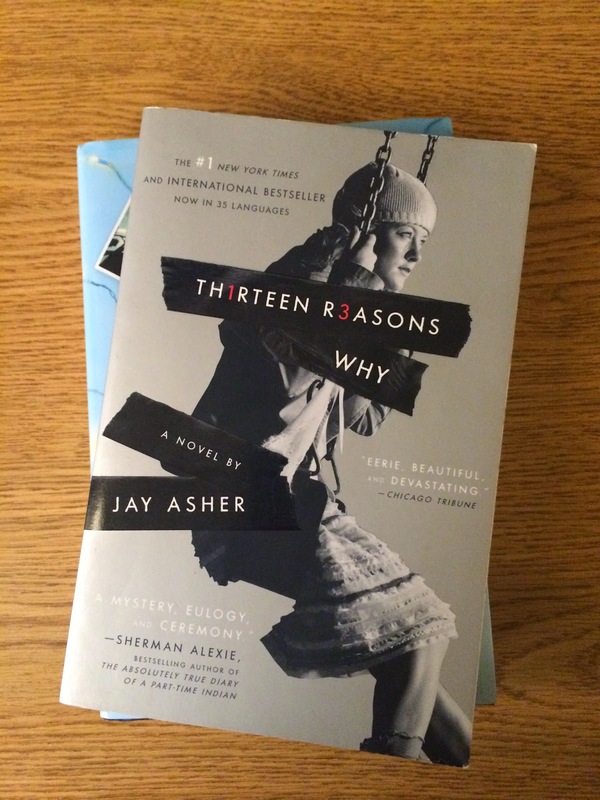 The book "Thirteen Reasons Why" by Jay Asher is such a great book as well. It kind of reminds me of Pretty Little Liars, so if you really like that show or are in to mysteries I recommend you check out this book. *note: I have not finished reading either of these books...oops? One thing I've always loved are quotes. I think quotes are very inspirational, and you can literally find one for everything! My favorite thing about quotes is that they can be interpreted differently by every individual. This one has been one of my favorites lately. I think it's so true. 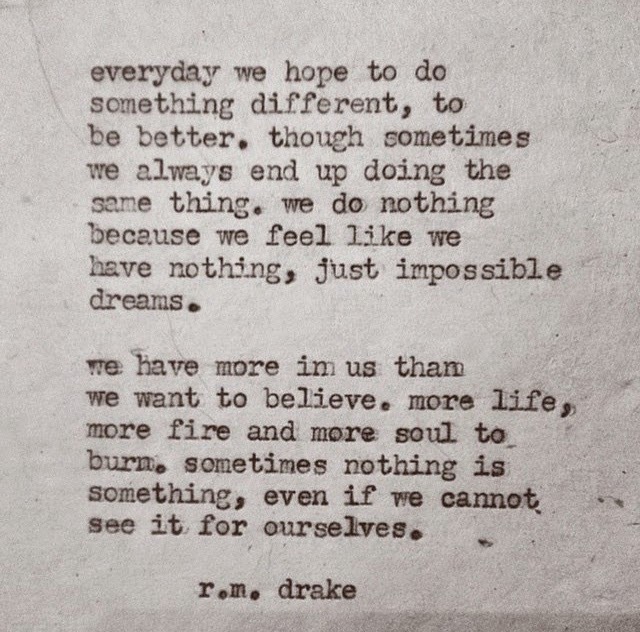 We live our life just hoping that one day we'll do something amazing! But what's holding us back is constantly living in the state of "I hope this happens", but why not just go for it? Live your life day by day and just enjoy what you have. Everything will fall in to place at it's own time. I recently went to the local flea market; don't worry there are no actual fleas involved ( I, hope). It's basically like a giant yard sale. There was a stand where this woman sold a lot of the stuff that she collected over the years; a lot of which was jewlery. I found these little treasures. 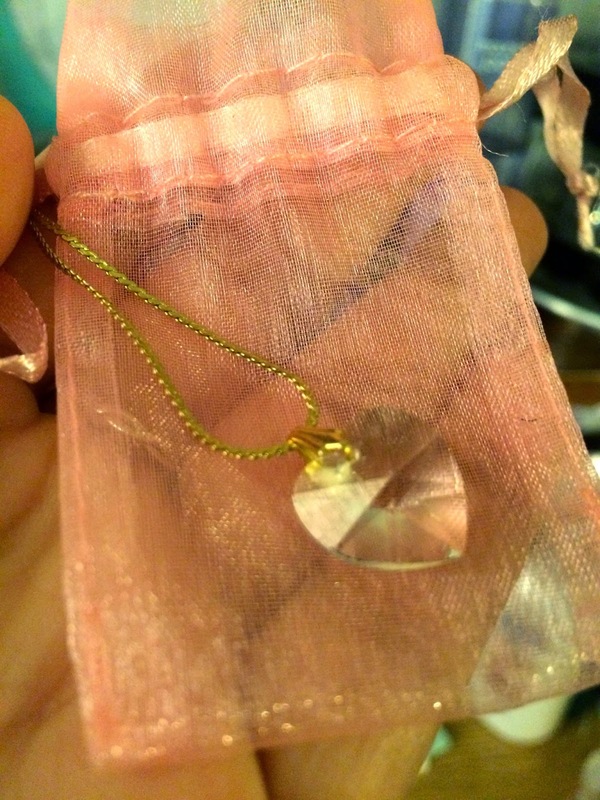 I thought the necklace was so cute yet simple and dainty! I love anything that's crystal ;) and see through. 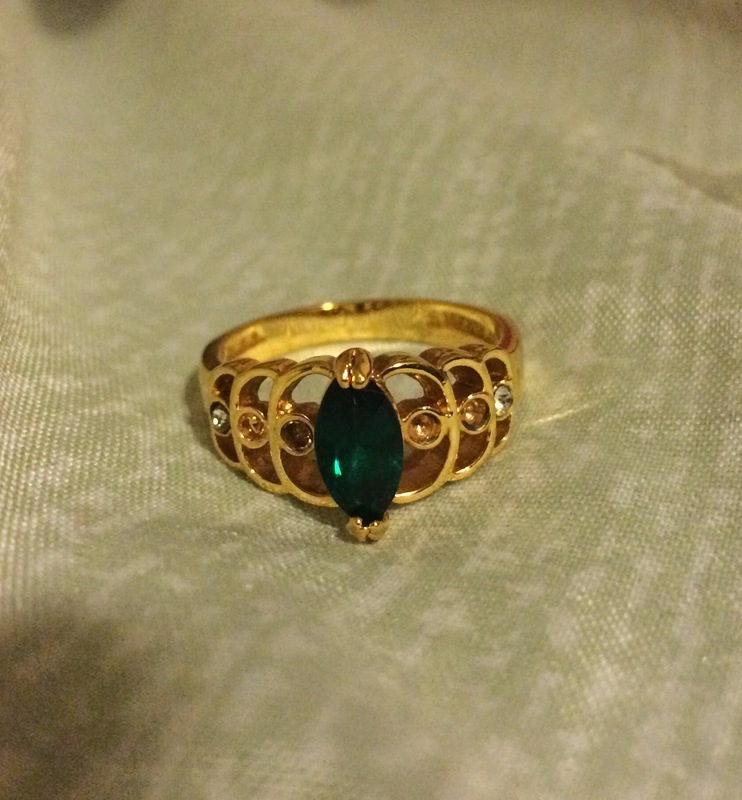 I also fell in love with the ring above. It's just so pretty and I feel so fancy when I wear it. Do you need any further explanation? I guess I've been very tired and stressed out lately that i've been taking a lot of naps. The reason this is so weird for me is because once I wake up I usually can't fall back asleep. 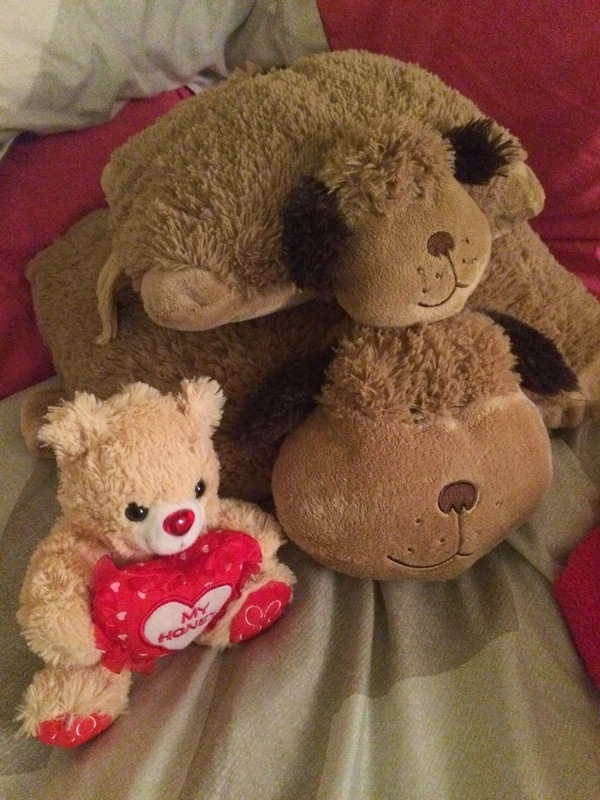 So recently these little guys have been keeping me company. They do such a good job at supporting me :') Thanks buddies! We're all guilty of it! Don't lie, we are all constantly on our phones. Sooner or later we are bound to run out of battery. Well I'll tell you what. 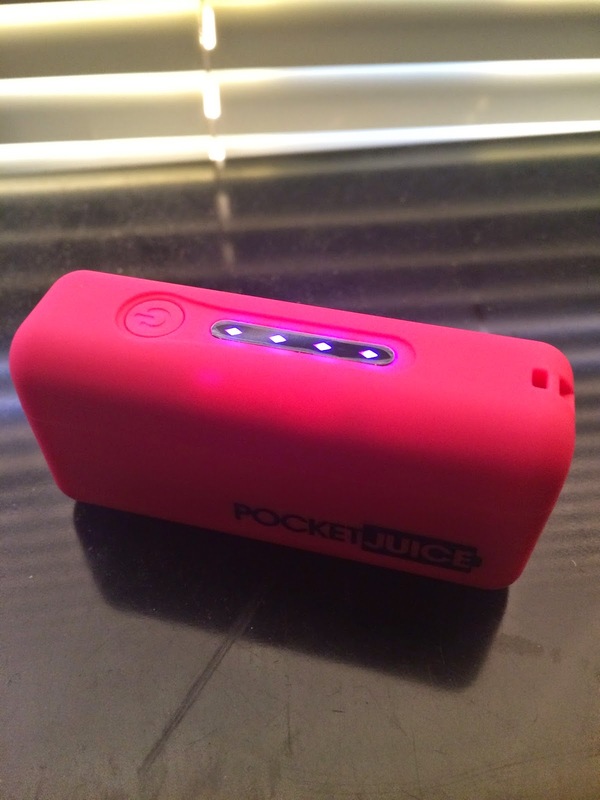 They finally invented portable chargers... okay well they've been out for a while now but I recently just got my hands on one. Remember the trip I told you about? well this thing saved my life! 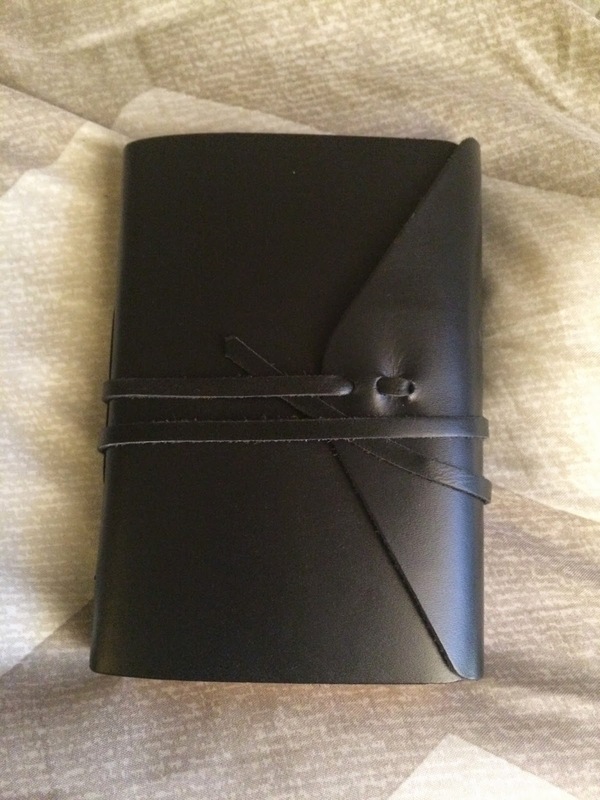 I always wanted to have my own leather journal. I finally bought one! and it's become my most prized possession. 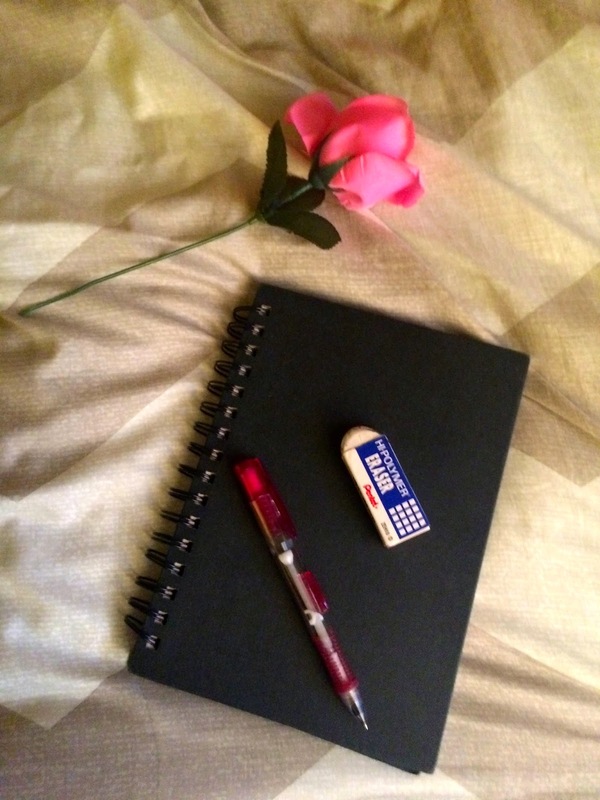 The reason I wanted to start journaling was so that I can have something to look back on. I want to be able to relive what I thought and how I felt during certain situations. Congrats! you've made it to the end! :D Thank you for wasting your valuable time on me! <3 It really means a lot if any of you took the time to read about what I've been loving. I hope you guys have an amazing day! and remember to never give up. Also, let me know what you loved in February! "And though she be but little, She is fierce" - William Shakespeare.